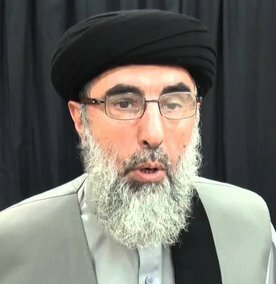 Asia Times: Kabul hopes the possible peace deal with Hezb-i-Islami leader Gulbuddin Hekmatyar and his return could serve as a template for ending the 15-year war with the Taliban. While the deal with his inactive militant group may be more symbolic, it could help President Ashraf Ghani to win over the Taliban through talks. However, many Afghans oppose the draft peace deal and Hekmatyar’s return over serious human rights violations he had committed during the 1996 civil war. Click here to read more (external link). Mr Kerry of the United States is bowing down to Mr Hikmatyar of Afghanistan- it is funny ! If he is no body, why he is welcomed by a SUPERPOWER ?